Nails are soaked, cleaned, shaped and buffed. Cuticles are pushed back. Trimmed and hand and arm massage is given using AVEDA Hand Relief cream. 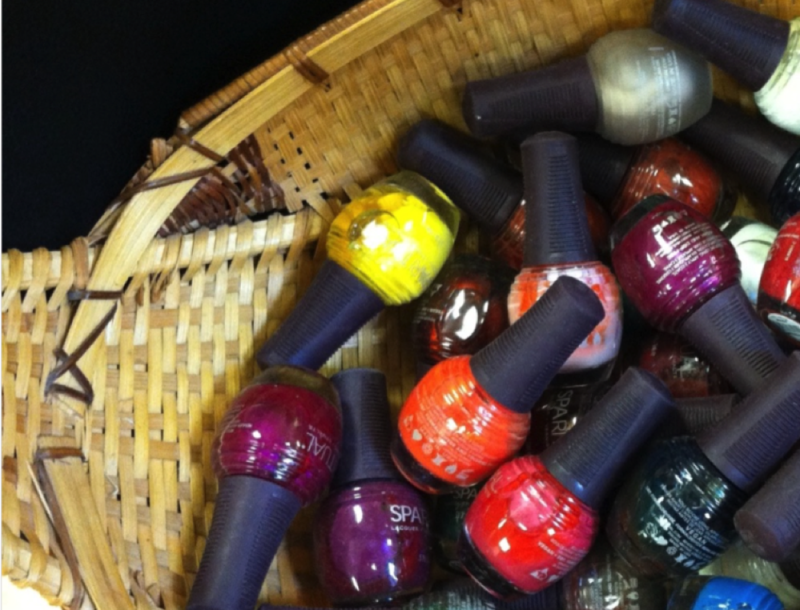 Finishing with your choice of polish and strengthening topcoat. Up to 14-day wear,zero dry time and no damage done to the nail. Your treatment begins with a hand and arm massage. Warm paraffin is applied to the hands to deeply moisturize and condition. Heated mitts are placed on your hand's to relieve tension and penetrate moisture. This therapeutic service can be scheduled alone or with a manicure. A therapeutic pedicure, includes toenails clipped,cleaned, and filed. The dry and excess areas are softened and buffed. Finishing with a relaxing massage of the foot and lower leg. A therapeutic pedicure, including a deep moisturizing paraffin treatment.